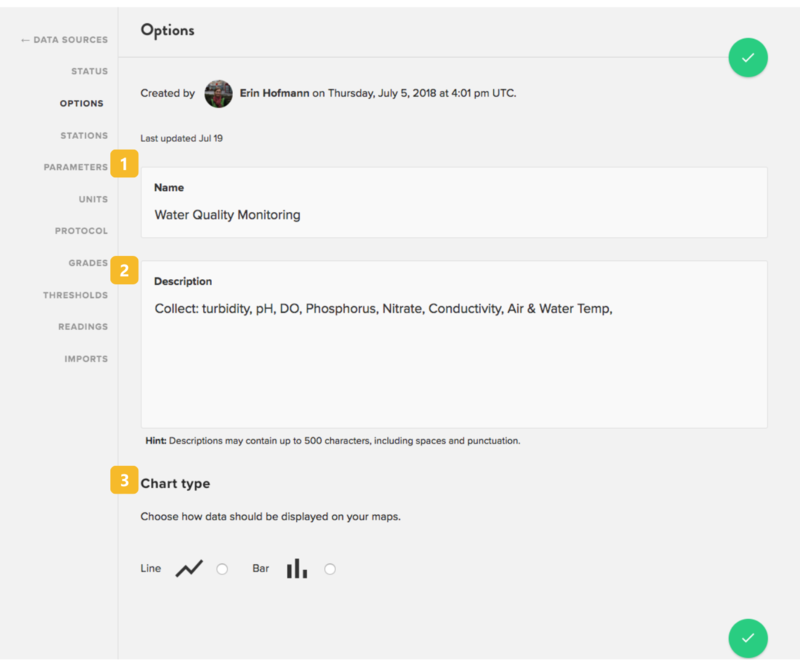 From your Flow Dashboard, you have a few options of how your data displays on your visual map. You can change the name of your Flow Data Source at any time. This is helpful if you update your monitoring program name or need to refine the name for descriptive purposes. Only administrators of this account will see this name. You can update your description at any time. The description is only available for viewing by administrators of this Flow account, so it is an opportunity to add descriptive information that helps you keep track of this data source. For groups conducting multiple monitoring programs, this field is especially useful. Data can be displayed in line or bar charts. A universal choice must be made for all data uploaded through the same data source.